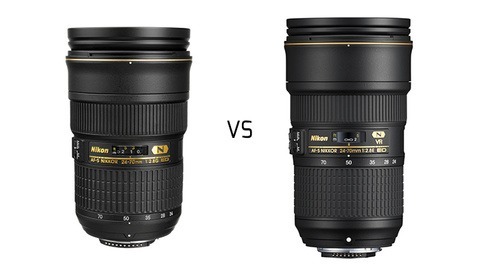 If you don't know Sigma's Art series lenses yet, you're missing out. Their well established 24mm, 35mm, 50mm, and zoom options in the Art lineup shine, but it's hard to believe it took this long for a wide-angle 20mm f/1.4 Art to make it out into the real world. But the moment I began shooting with this beauty is the moment of the past didn't matter anymore. We're in a new world: there's a 20mm to die for; and this is it. We've been very, very patient. Sigma had zero competition, so it's no real surprise that it took this long. Nikon's still-somewhat-new 20mm f/1.8G is a great alternative for Nikon shooters that does feature Nikon's excellent Nano Coating, but it's not as good as the 24mm f/1.8G (which is obviously not as wide) that just got a rave review from DxOMark. 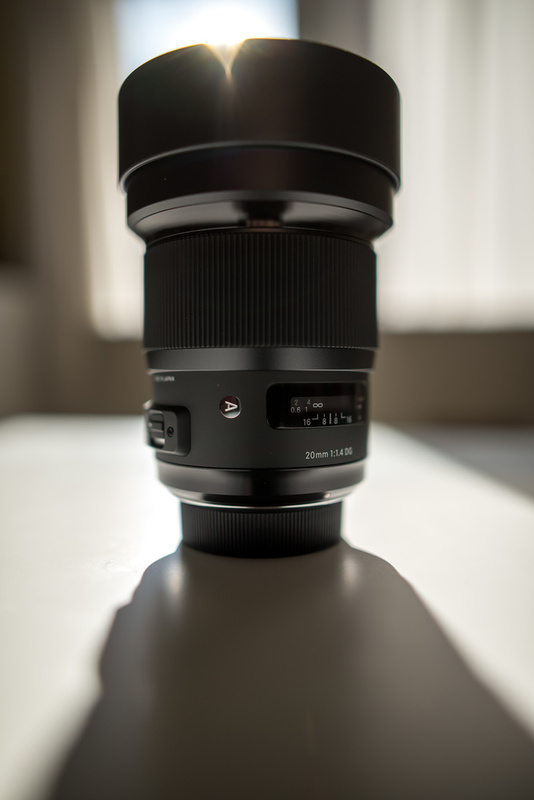 Both lenses do fall over half a stop short of Sigma's sharp as hell, massively awesome 20mm f/1.4 Art. Thinking of Canon's EF 20mm f/2.8 USM? It may be cheap, but it's a full two stops tighter than the Sigma. And besides, it's so ugly. Just look at it...need I say more? 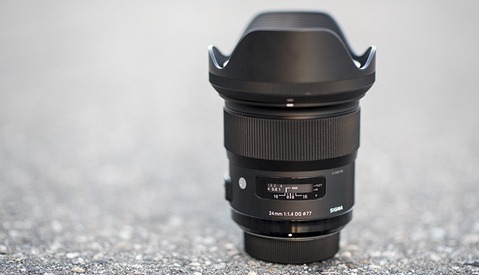 Either way, it's the Nikon 24mm f/1.8G that we'll be considering as the only realistic alternative for Sigma's newest prime lens if image quality is a top concern. The built-in hood does a great job of shielding the front element from sunlight and bumps alike. Overall, the lens has a great, solid, heavy feel to it. This lens is packaged the same way as all of the other Sigma Art lenses: simply, but with everything you need (the lens and a case). Taking the lens out is when the real magic sets in. It's not small. 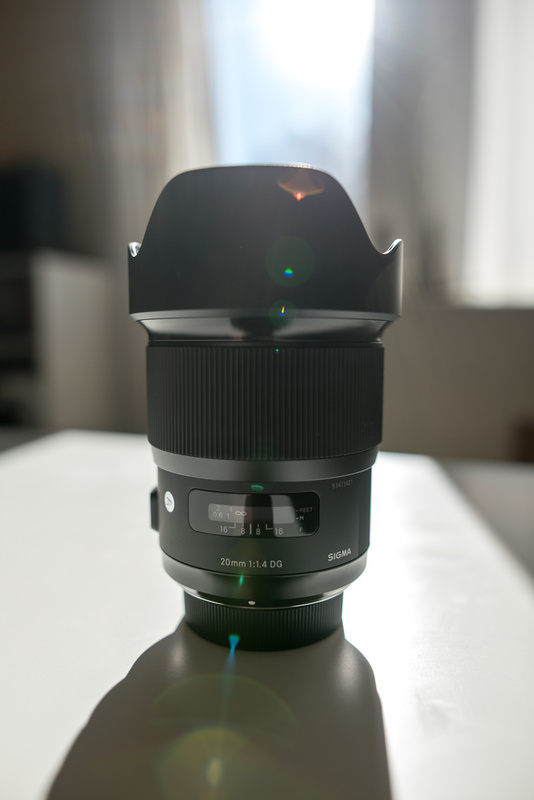 Compared to the rest of the Sigma Art lineup, the 20mm is closer in size to the 50mm than it is to the 35mm and 24mm. This is in part due to its built-in hood that helps protect its bulbous front element, which brings us to our first and only real point of contention. 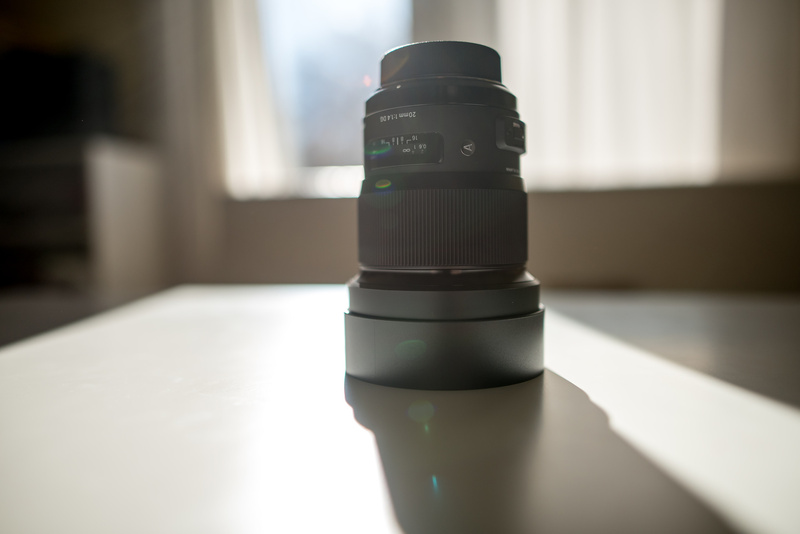 The Sigma 20mm f/1.4 Art is a very "good" size. The lens cap is a slip-on cover that slides firmly over the built-in leafed lens hood. Thankfully, it doesn't come off unintentionally. If there's one reason to pay twice as much for more or less the same lens in the 24mm Canon L or Nikon f/1.4G version, it's autofocus (aside from the world of difference between 20mm and 24mm, of course). The Sigma Art lenses do extremely well, but the home-cooked variants tend to perform just slightly faster in my experience. Yes, it's almost imperceptible. But yes, "almost." Thanks to the wide angle of the 20mm focal length, however, this difference is minimized and perhaps even negated altogether. Because wide-angle lenses have such relatively large depths of field, they don't have to "adjust" as much to get to a particular point of focus. This short throw means that focus is usually lightning-fast on wide-angles. Add to that the fact that this is a prime lens, and you've got focus speeds that won't leave your wanting more. 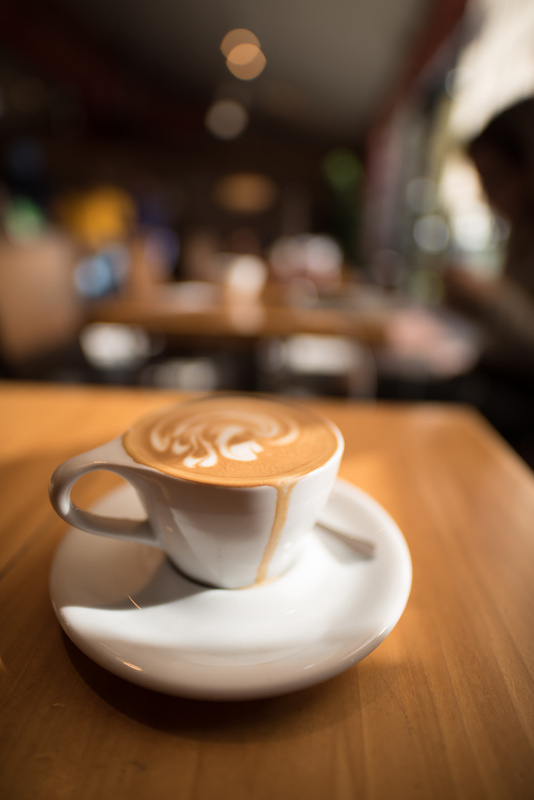 Apart from what you can tell from the general angle and some mild distortion of the circular saucer underneath the cappuccino cup, it's hard to believe you'd get this shallow depth of field from a 20mm lens. The bokeh looks like my 85mm shot at f/2 or so. Granted, this is way too shallow for this particular shot. But it does illustrate the point (just about the only in-focus point is the lip of the cup right where the drink spilled over slightly). That right there is a JPEG saved straight from the raw .NEF file without any changes. 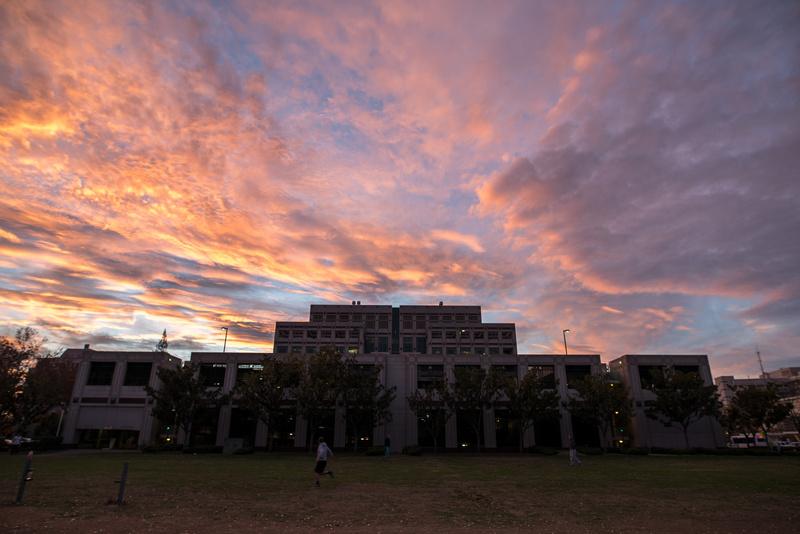 In any case, if you never thought you'd say, "Bokehlicious," about a 20mm lens, think again. This has enough bokeh to smooth out the Eiffel Tower into an inflatable Air Dancer in the background of your street mime portrait series. In fact, I'm going to go order a second cappuccino right now... For anyone paying close attention: by "bokeh," I of course more accurately mean, "shallow depth of field." With Nikon's f/1.8G (the 20mm and the 24mm), you still get a decent shallowness to the depth of field, or so I would imagine. I admittedly haven't had the chance to shoot with either yet, but physics is physics. And the cheaper price of either might still win your brain over, especially since we're probably talking about a relatively small perceivable difference in image quality between both of these lenses anyway. Then again, I'm sure you could still tell the difference in light transmission if you really need that extra (almost) stop. But those are all decisions you need to make. The 20mm focal length is a refreshing one for walking around, as it brings a large section of life into the frame with relatively minimal distortion. I wish I had my tripod and a little more time on my hands to have made a real go of this shot as the clouds turned...(this shot is edited slightly). I'm not a scientist. I'm not testing this in any special way. But when I take a look at these files taken with my relatively modest Nikon D750, I'm amazed. I've included plenty of samples (plain and not so plain) for you to mull over and form your own opinions. But contrast is punchy, color rendition is fantastic, and there's an air of sharpness surrounding every image in a way that makes me ooh and ahh over the results, regardless of whether or not I like the actual photograph in question. You can't have a lens this wide without some noticeable distortion. And in the corners, it certainly is there. But if you're smart about shooting your wide-angle shots the way you should be by keeping recognizable objects or corners of clearly rectangular objects out of the corners, you'd be hard pressed to find any distortion that is too distracting. That said, sharpness in the corners -- even on the edges as a whole -- degrades quite a bit due to just how wide this lens is. Honestly, it's a little more degraded around the edges than I would have expected. On the other hand, it's been a long time since I've shot anything decently wide at all. Although I may be out of touch with the "norm" for a wide-angle lens, everyone else seems to think it performs quite well. So for now, I'll chalk it up to an issue with this copy or perhaps simply an issue with my own perception of what is and is not normal. You can take all of the "scientific" tests with a grain of salt, but it doesn't hurt that DxOMark and LensRentals like this lens, too. The new Sigma 20mm f/1.4 Art is sharper than the Nikon and Canon 24mm f/1.4 lenses in the center, and at least equal in corner resolution. That should set any last doubts at ease. 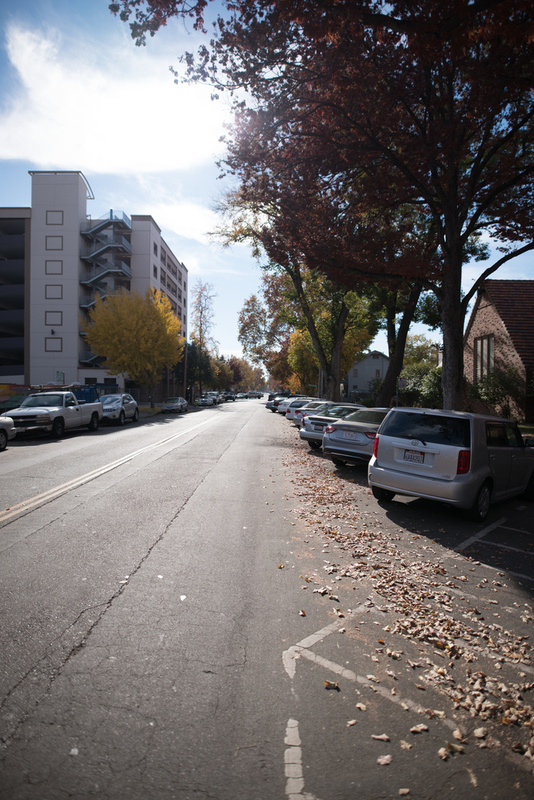 Those interested in edge sharpness can enjoy the simple street shots below as examples. This was shot at ISO 100 and f/2.8 just to get a feel for what would be considered a fairly medium depth of field for this lens. 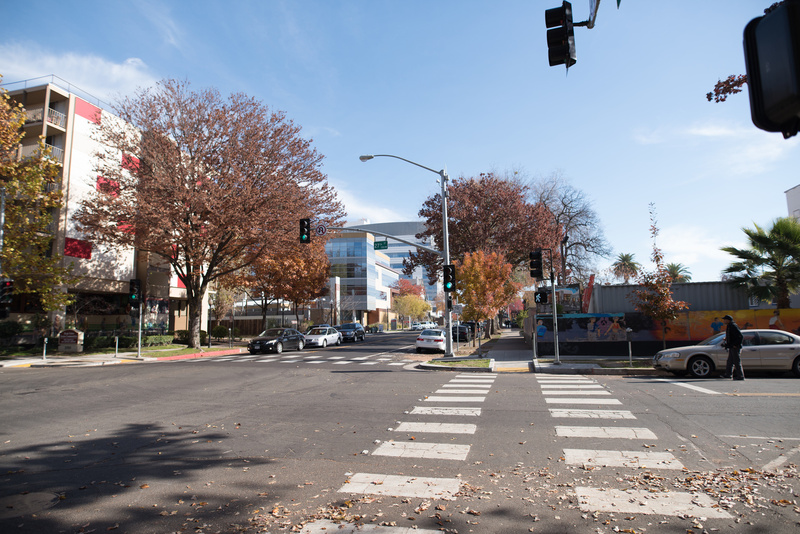 If you follow the in-focus area (roughly the middle of the road) to the edges of the frame, you'll notice some loss in sharpness...even continuing up to the trees on the left). Maybe the loss of sharpness in the edges is normal for a lens like this. While it's fine to my "normal" eye, it seems a bit less sharp than the pixel-peeper in me would prefer. Here's one more shot where the softness in the edges is noticeable. Again, is this normal? You tell me... The rest of the frame looks fantastic, though. 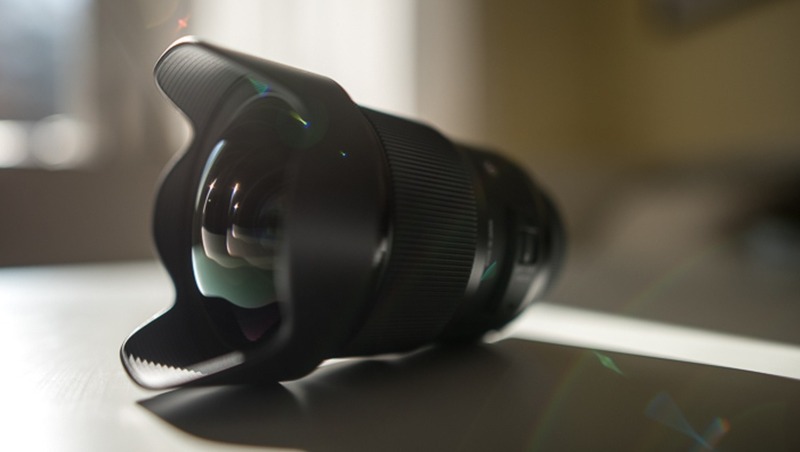 I already mentioned the short version of this review above: buy this lens. But at the end of the day, we're lucky that one of our only options in the category is a fantastic one at that. The bulbous element should only disappoint the select few who constantly add and remove screw-on filters. And while there is no mention of an oil-, dirt-, and water-shedding fluorine coating like that on the front element of the Tamron 15-30mm VC (and Nikon's and Canon's super-telephotos), that's not a deal-breaker...it simply would have been a nice touch given how large the front element is. And it's not like these lenses are anything alike (though I still wouldn't blame your for having a tough time choosing between the two). If you're a Nikon shooter, the 24mm f/1.8G offers just what this lens does and then some at a slightly more narrow field of view, except for the picky shooter's desire to get all the way to f/1.4. While I haven't shot with it yet, I would recommend trying it if it's an option for you -- you can even screw filters onto the front of that one. As far as my needs go, consider them met. I'll be keeping this lens one way or another. Anyone want my 24mm f/1.4 Art? The Sigma 20mm f/1.4 Art can be ordered in Sigma, Nikon, and Canon mounts for $849.00. The Nikon that's getting great reviews is the 24mm f1.8 - the 20mm f1.8 is also great, but not quite as excellent as the 24mm, by most accounts. The 20mm is also significantly older than the 24mm. Other than that, nice review. Sigma is definitely on a roll with their fast wides, it'll be interesting to see how their telephoto primes hold up. "The 20mm is also significantly older than the 24mm." I lol'ed. You mean, like 11 months? Yep, 'bout that. Very popular astro lens since its release. Thanks for the note. I had the 24mm and 20mm mixed up in a few spots where I meant to say the other... Got my head screwed on right this time since the most recent edit, I hope. Cheers. No problem, easy to get the two mixed up when tabbing between product pages. Bonus points for the Sigma, being wider and faster than the 24mm f1.8 which recently was lauded by Dxomark in any case. I feel like these ultra wide primes with fast apertures are primarily aimed towards astrophotography and photographing the night sky. Did you do any tests with it at night with long exposures? Those are seriously some awesome wedding photos Tony! I'm super impressed. How did you do the makeup shot? Was that a multiple exposure or some sort of prism? Agreed. Seriously, these are awesome. Damn, Tony. Just...wow. Stellar work. I will be looking at your photos for some inspiration. Absolutely beautiful. Almost all of them would have 5 stars in my library. Very nice job, and I bet your clients are super happy. 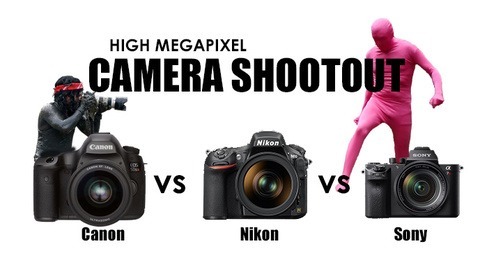 Tony, are you shooting the Nikon 24 ,20 or the Sigma? Very expressive photos. Hey Alan, we have a ton of lenses but the Sigma 20 was used hard at this wedding. We just got it in last week. Thanks, I am heading to Mpls today, I will have to stop and take a look at one. Haven't bought a non Nikkor lens in a long time. Will have to see how it feels. Tony, very nice! Were the majority of those shot with the 20 1.4? Would you recommend this as a great event lens in addition to landscape? A bunch of them were... Especially the reception stuff. I haven't used it for landscapes except for a few at night. The cover photo on that post is one of them. It blew me away at night. Absolutely incredible shots! First time making a comment on Fstoppers, had to go out of my way for this post. Amazing pictures Tony.May I ask you did you borrow this lens for the wedding? Would you hold on to it for future weddings after your experience with it? I'm looking for a wider prime ... I shoot mostly weddings exclusively with primes and well I need something wider than 35. I was going to grab a 24 1.4 until this lens came around now I can't make up my mind. Thanks! Thanks for sharing, Tony. Patrick, unfortunately this lens only made it to me a few days after my awesome astrophotography shoot recently at Mt. Wilson. And it's been cloudy with more crappy weather every since. But if I have the chance before I send the lens back, I'll work on getting some of those test shots in myself in a future update. WOW! Your shots are astounding. I'm considering trading out my Tokina 16-28 f/2.8 for this. I only ever use it at 16mm and would prefer a prime. 20mm is a just slightly tighter than I would choose but I love that it has barely any distortion and I think that's a worthy trade-off for the prime and the f/1.4. The impracticality of using exclusively primes doesn't outweigh the convenience of quality zooms for me overall, but I do love my primes additionally... like the Canon 135mm f/2L.